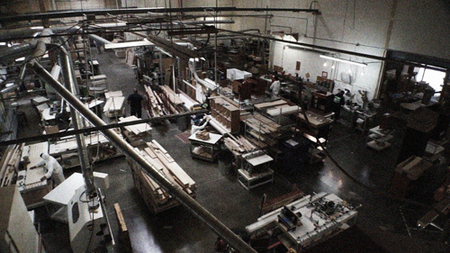 Strasser Woodenworks is proud to craft our Bathroom Vanities, Furniture and Accessories in the USA. Our workforce takes great pride in crafting beautiful and elegant furniture in a clean facility that meets or exceeds all Federal and Washington State EPA guidelines. Strasser Woodenworks is proud to support our employees, their families and the economy of our community. Here is why you will be pleased with your new Strasser Bathroom vanity that is crafted in the U.S.
Strasser Woodenworks: a family business. Cameron Santos, Customer Service Lead, has many years of customer service experience. She concentrates on Home Depot orders and site maintenance, purchasing countertops, and daily reports of incoming and distribution orders. In her time off, Cameron enjoys gardening and reading, and is awaiting the birth of her first grandchild. Sean Kristek has over 10 years in customer service. He handles most of the incoming customer service calls, happily helping with showroom orders and the many inquiries from customers. He prepares the day end reports and invoicing. Sean is an avid sports fan cheering on the Seattle Seahawks and Mariners. Megan Robinson is our Purchasing Manager with over 30 years experience in the hardwood, cabinet millwork and hardware industries. She works closely with our Production and Sales teams to insure the highest quality products for our bathroom furniture and accessories. Megan is an avid reader, sports car enthusiast and loves to spend time with the family and grandchildren. Eduardo Torres is our Production Manager having worked his way up from the shop floor. He knows all the machinery and products from wood to finishes and designs new prototypes. He works closely with Sales to ensure new Strasser products are available. Eduardo enjoys going on wine tours and tastings, and socializing with his friends in his free time. We love our new vanity! 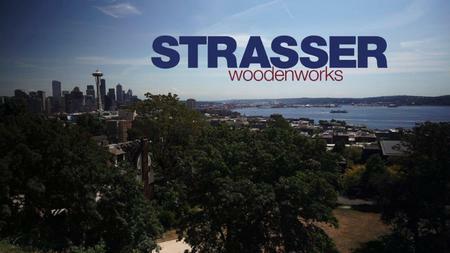 Thank you for considering the purchase of a Strasser Woodenworks American made product. With your support we continue to craft your bath furniture here in America and employ workers right here in our community. Just the fact that our products have not traveled thousands of miles to get to our shores shrinks their carbon footprint significantly. A European product must travel about 4,000 miles before reaching America and a Chinese product travels close to 7,000 miles. In addition, we use domestic suppliers wherever possible which further minimizes our products’ carbon footprint. Remember, too, that our country and our state of Washington have tough environmental laws and regulations so products made here are environmentally cleaner than those imported from less Earth-friendly places. Every Strasser Woodenworks product is built of the best materials (like this to natural products) and designed to last a lifetime. 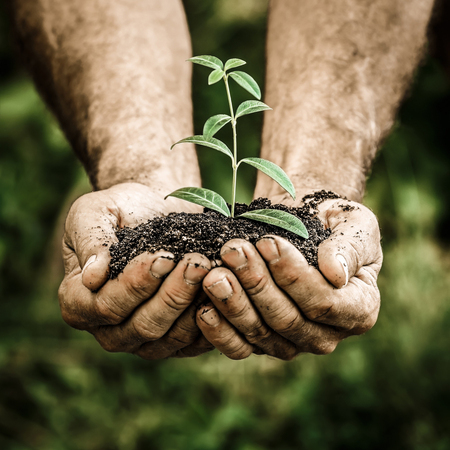 It is environmentally sound to purchase products that will stand the test of time and not get tossed into a landfill after only a couple of years. Maybe the most environmentally responsible thing we are doing is creating beautiful products that will have a very long and useful life. Here in the Northwest we were “green” long before it became trendy. It’s a way of life here. We at Strasser Woodenworks are doing our best to become a greener company by constantly finding ways to conserve energy, reduce waste, increase recycling, and use cleaner manufacturing practices and better materials. We know that it is imperative to leave a cleaner world for future generations. Strasser Woodenworks makes your bathroom furniture when you order it. We do not have inventory gathering dust. We are dedicated to Lean Manufacturing because it allows us to be competitive in a global market while manufacturing in the United States. In 1999, the Washington Manufacturing Association (WMA) identified Strasser Woodenworks as a local company they would like to support during a time when many companies were moving manufacturing offshore. WMA approached Strasser offering pro-bono consulting services. Together WMA and Strasser reviewed the production operation. WMA suggested bringing in GEMBA Research to introduce Lean Manufacturing techniques to Strasser’s operation. Thus began a positive collaboration. GEMBA introduced lean manufacturing techniques and "just in time" practices in purchasing and production, thus eliminating inventory. To further the company’s commitment to lean manufacturing, the company president went to Japan. He visited 14 companies that use lean throughout their entire companies. A highlight was going to Toyota City and observing lean at the Toyota car plant. Strasser’s president observed the impressive efficiencies lean produced. In the next two years, Strassers’ production, purchasing and sales managers accompanied GEMBA Research consultants to Japan to learn lean techniques first hand. Strasser continues to work with GEMBA to refresh and improve its ‘lean’ techniques which has allowed Strasser to compete in the global economy.